I am a Full stack web developer. I've written code in Java professionally, as well as use it for open source contribution. I work as a software engineer full time. I've been working in Java codebases for a number of years now and I really like the flexibility and usefulness of Java. I'm happy to help new coders discover the awesomeness of Java. Yes, it does exist :). Java was my second language and I wrote it professionally as well for a recommender system. I've been programming in Java and JUnit for almost as long as they've existed. I really appreciate the ability to effortlessly refactor code using these tools. I've been using Java in my job for about 15 years now, but only became a full-time engineer about a year and a half ago (was in professional services doing customizations before that). Software engineer for 10 years now, mostly experienced on the JVM (Java and Scala) for web facing systems. Eager to learn, you'll probably find me trying new things on the other tracks! I am a Java nut. While some may hate it for its (seemingly) unnecessary verbosity at times, that is one of the main reasons I love it. I've written Java as a hobby and professionally for over five years. Koen Wellens My blog where I review books. I've been working with Java for about 10 years now. I think I've come at a level where I can help others. So Java would be my main language with something like 15+ years of experience. I don't particularly like it but it is what I know best! I am software engineer from Berlin, Germany. I work since 2013, often in legacy environments and mostly in Java. Enjoy solving problems and helping others learn. I've written java professionally, and also use it for open source projects. I've been developing in Java professionally for over 10 years. I am primarily a Java backend dev working full-time in the e-commerce field. Learning programming has changed my life for the better and I hope to help others do the same. I write Java for work and despite its verbosity I continue to love it! I'm a Software Craftsman at Codurance, doing software development professionally for over 20 years. I am an professional Java Developer who takes great interest in open source, teaching and self improvement. I'm hoping to help new Developers achieve their goals. I'm a full stack developer with a love for all things related to functional programming. I spend the bulk of my time solving complex problems using simple but not necessarily easy solutions. 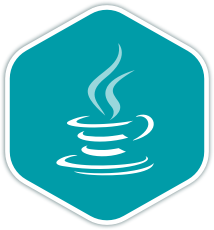 I love Java and I think it is getting better year after year. I think it takes advantage of the JVM and also has large community with a lot of amazing tools. I've been programming in Java professionally for six years, and in general for more than 15 years. I like to focus on clean legible code, because code that is easier to read is easier to understand. I work as a software developer for a tech consulting company. No matter what language I'm working in, there's always a soft spot in my heart for Java. I have been working with Java for about 5 years, mostly as a hobby. I have programmed professionally with python, node.js, bash and R.
Curious software engineer with more than 15 years of experience, mainly focused on the Java language and IR/Search technologies. I graduated from Fanshawe College with two programming degrees. I am currently a full-time employee for a large company using Java and many other technologies. Mostly a Java developer, interested in solving problems and always looking for ways to learn new things. I'm also into cross-country skiing! Passionate about coding since 1995. I am a researcher in model-driven engineering and domain-specific languages with a pure love for programming. I've been programming in Java since 1998 and teaching since 2012. I've been developing in Java Professionaly for 5 years now. I'm passionate about writing clean code and learning new programming languages.